Do you have a moment or three to spare? Looking for an escape with the perfect minimalist design and cleverly built puzzles? Hottategoya's Escape from the Room with Three Keys 6 once again shows fanciful decorations, Spanish guitar melodies, and animated characters are, while perfectly nice, totally superfluous. Forgoing all extras, even a changeable cursor, Hottategoya gets out of the way and lets your brain be the star of this show. You are behind a door with three locks and need to earn three keys by opening three boxes by using three clues in...well, you get the point. It may seem too stark at first but what counts the most—logical clues and quality puzzles—creates a fulfilling mental interlude even when you are short on time. 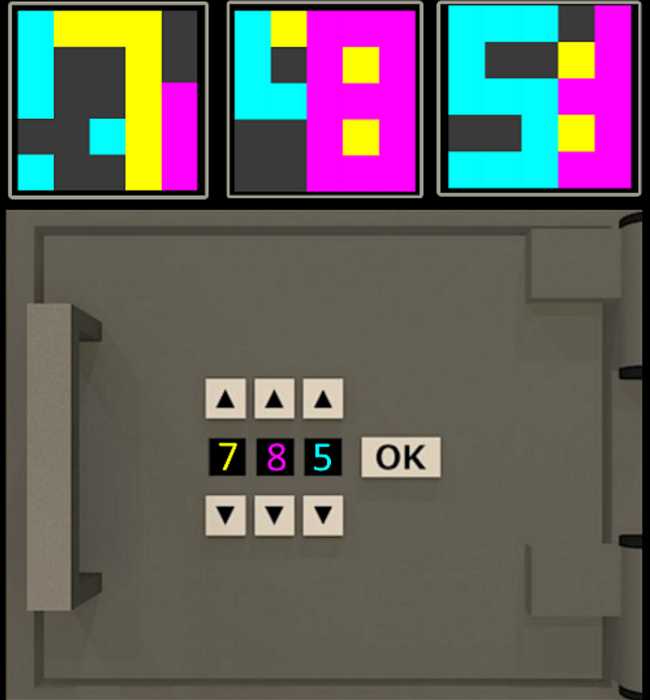 Sort out jumbled picture tiles, interpret an abstract design, and apply a bit of maths skill and you'll be out. With Escape from the Room with Three Keys 6, there's no doubting Hottategoya has an established niche in the genre, honing its craft into a fine-tuned tidbit of escaping you're sure to enjoy. 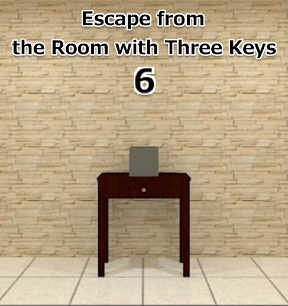 Escape from the Room with Three Keys 6 Walkthrough now available! This is a four-walled room. Turn left or right by clicking the arrows that appear when you hover the cursor near the sides of the game screen. You can zoom in closer to items in the room by clicking on them, then back out by clicking the arrow at the bottom of the close-up view. Items that can be picked up will automatically join your inventory. Examine an item by clicking to highlight it then selecting "About Item." Use an item by highlighting it in your inventory then clicking where you'd like to use it. Solve the three puzzles to get three keys that will unlock the door. This puzzle is a 3x3 grid of changeable buttons. 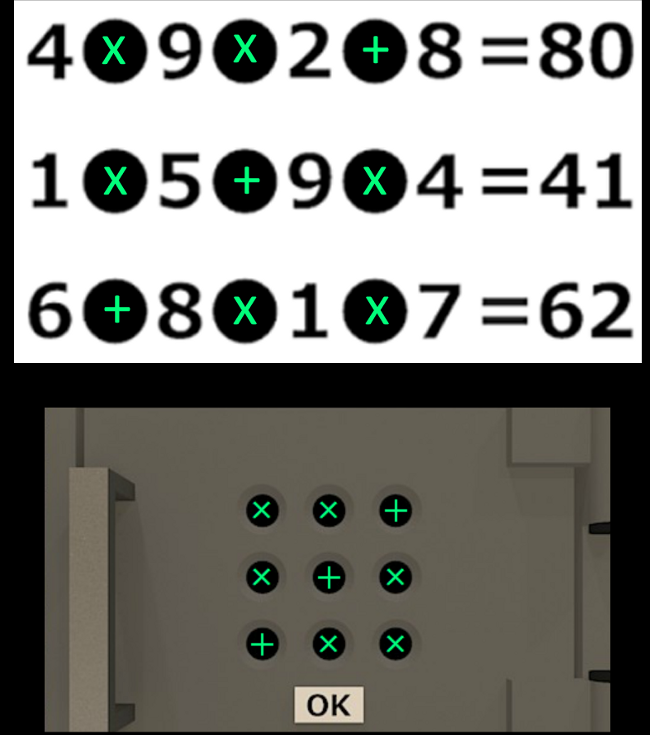 Find the correct sequence of "+" and "x" symbols to open the safe. This puzzle is a 3-digit number code. Each digit is a different color. From left to right: yellow, pink, blue. Find the correct code to open the safe. Clicking on the wall panel/monitor causes colored squares to appear; sometimes you can change the colors, sometimes no colors appear. Back up and turn right again to face the door. If you look closer, you can see the three keyholes, each numbered for a different key, that keeps the door locked. This puzzle is a jumbled tile picture. Rearrange all the squares until you have a complete picture to open the box. From inside the drawer, get a PIECE OF PAPER with numbers and black dots on it. You're now ready to solve the puzzles. Facing the little wooden table, click twice on the box to zoom in on its top. To select a square, click on it. A green outline will indicate its ready to move. Next, click where you want to move it. Continue this process, matching up the images in the squares until they make sense as one complete picture. You'll hear a click sound in the picture is correct. When finished, back up and click on the edge of the box to open it. Look inside and get KEY ONE for the first lock. Before turning away from the little table, make sure you've taken the PIECE OF PAPER with the numbers and dots out of the drawer. Turn right from the table and zoom in on the safe on the left. The dots between the numbers on your piece of paper need to be filled in with either a "+" sign or a "x" sign to indicate addition or multiplication, whatever will complete the equation. Each dot on the paper corresponds to a button on the safe. When you've figured out the top equation, you can change those signs to match. Do the same for the middle and bottom equations, then click "OK". If you have it right, when you click "OK" you'll hear an unlatching sound and the buttons will turn all black. Order of operations applies here. Multiply before adding. Do all multiplication before doing any addition. Because 1x5 is 5 and 9x4 is 36, adding them together makes 41. Because 8x1 is 8 and 8x7 is 56, then add 6 to 56 to get 62. With the code correctly entered, click on the handle to open the safe and take out KEY TWO for the second lock. This monitor continues the information you need to open the other safe. Click around on it until you can determine the 3-digit code. 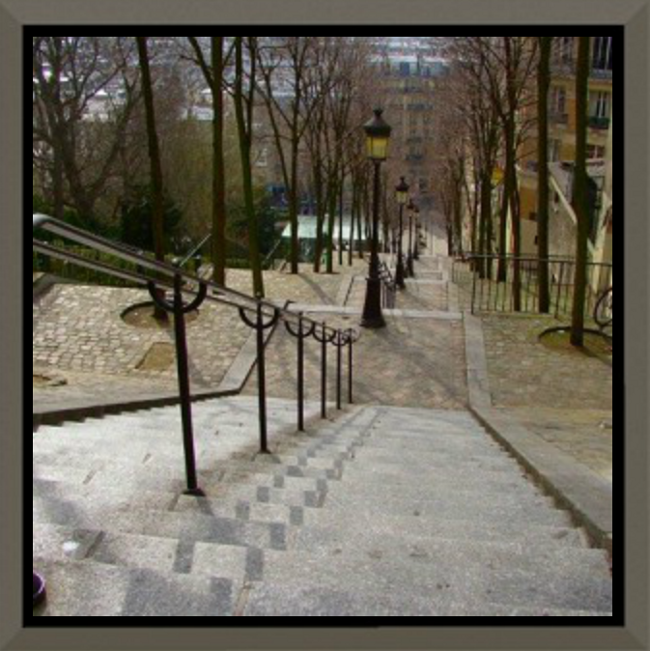 Concentrate on one color at a time then make adjustments until you see something that makes sense to you. Click on squares to make number out of a single color, sometimes you have to turn a square grey for shapes to make sense. Eventually you'll see a pattern and a number will emerge. Use the up and down arrows to input the code you found from the wall panel/monitor. Click "OK" when you have the correct code entered; you'll hear an unlock sound and the digit boxes will turn all black. Click on the handle to open the safe. Get KEY THREE to the third lock. Turn until you're facing the door. Put KEY ONE into the first lock, KEY TWO into the second, and KEY THREE into the third. You'll hear an unlatch sound each time. After unlocking the three locks, back up. Click on the door and leave! Fun little game, as usual. I liked the colour puzzle - it was quite original. All right! I got this one in record time, with absolutely no help whatsoever! Wheee! loved it. fun to solve.